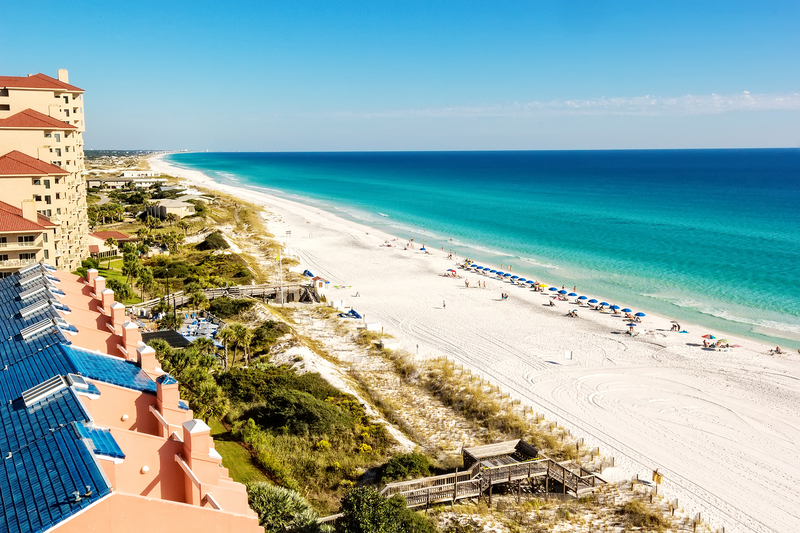 The Gulf of Mexico is an ideal destination for family vacations. Stretching from the tip of Texas to the tip of Florida, the coastline features soft, sandy beaches, and warm waters typically more calm than those found in oceanfront communities. 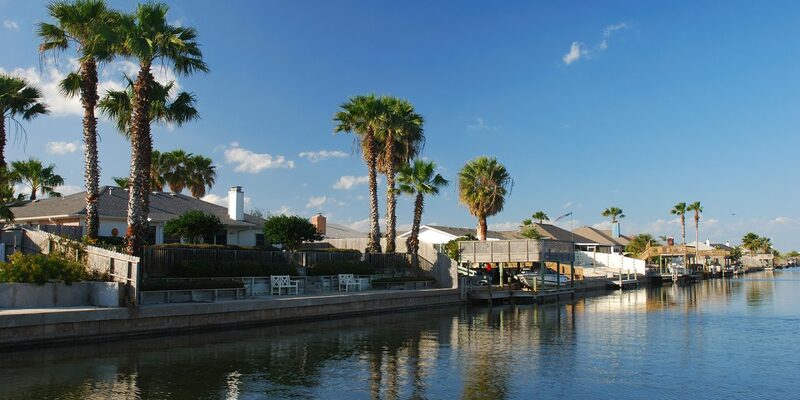 Cities can be found along the Gulf, but most of its destinations offer small, quiet communities in which families can reconnect and just simply be together on and near the water. Many of these small communities are better for vacation rental getaways than resort-style vacations, especially as its common for them to have more rental options than hotels. Consider of these Gulf Coast beach rentals for your next family vacation. Nestled between Pensacola and Panama City Beach on the Florida Panhandle is the collection of seaside towns collectively under the Beaches of Fort Walton umbrella. More than a dozen sleepy places with names like Rosemary Beach, Seaside and Watercolor blend into one another, providing an old-fashioned beach getaway. Here, buildings do not grow taller than four stories and lights are kept off beaches to help protect the sea turtles that nest in the dunes. 31-A, the main road connecting the towns, is referred to as a way of life: you won"t find fast food places, chain restaurants, big beach hotels, or traffic. Instead, it"s an idyllic setting of colorful homes and condos with tin roofs and white-sand strewn streets. Rentals are available through individuals, as well as agencies, offering check-in and housekeeping services to the various sized homes that may accommodate large families. 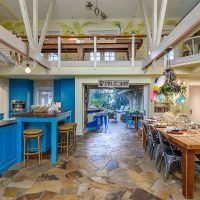 As far south as you can go on Florida"s Gulf Coast before you hit the Florida Keys, Captiva Island is an intimate island, making it one of the best areas for rentals on the Gulf Coast. It"s also the smaller of the two islands that are often referred to together: Sanibel & Captiva. As a small island, it doesn"t feature a collection of hotels, instead offering more accommodations by way of vacation rental. Here, families can find many beachfront properties, as well as homes surrounded by lush tropical vegetation. Condo-style rentals are plentiful, but larger families will find beach homes that can sleep up to 12. The island is so small, most guests ride bicycles to get around, making it even easier for large families to stick together. Not too far from Houston"s bustling streets is Galveston, a port city that welcomes cruise ships sailing the Gulf Coast to Mexico. The area is filled with energy, with many visitors coming for the beach and enjoying the city"s many outdoor activities, parks and attractions. Galveston is also a popular festival destination, providing a fun-filled calendar year-round. Hotels are plentiful, but for families seeking a home away from home, the area is filled with vacation rentals, including properties with Gulf and golf views. Large homes within steps of the water may sleep up to 14 people, while intimate cottages provide a retreat for a small family of four. Of course, condos are plentiful, as well. Haven"t visited the coast of Alabama? You don"t know what you"re missing. Consider sand so soft and fine that it squeaks beneath your feet as you walk. (Many call its 32-miles of beaches â€œsingingâ€ beaches because of it). Gulf Shores and Orange Beach, Alabama, are neighboring towns located between Mobile, Alabama, and Pensacola, Florida, and visitors will love the combination of waterfront properties and Southern charm. Most accommodations in this neck of the woods are vacation rentals, from condominiums towering over the beach to small and colorful homes with walkout access to the aforementioned sugar soft sand. Located just over a bridge from Southwest Florida"s Naples is the largest of the area"s Ten Thousand Island. Sure, it has a few luxury resorts on its 4-mile stretch of white sand beaches, but its more populated by rental options than even full-time residential homes. Like many islands in the area, most choose to get around by bicycle, and spending time on the water is key. With nearly 1,000 vacation rentals to choose from, families will have no trouble finding a property that suits their needs: small condo to large home, ocean views to quiet neighborhood, eat-in kitchen to formal dining rooms -- Marco has it all. The farthest west you can get on Mainland Florida is the Panhandle"s Pensacola. You"re already read why the Alabama coastline and its adjacent Panhandle neighbors are so great for family getaways, so of course we couldn"t leave this city off the list. Overlooking the emerald-green waters of the Gulf, the area also boasts the same calm, warm waters and soft, white-sand beaches. Rentals here, like the other destinations, beat out hotel options, and families can select from a number of properties based on size, location and family size. The larger half of what is Sanibel and Captiva Islands off the coast of Southwest Florida, Sanibel features more than 5,000 acres of wetlands. Although it provides a natural and rustic setting across its island, there is a bit more to do on this island than its smaller sister. Families may also find more home rentals in which to choose, including condos and houses with Gulf views, beach access swimming pools and golf. 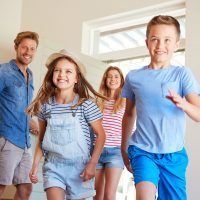 Families will also discover rentals in a variety of sizes, for the smallest of families to multiple generations all sharing one large house under the Florida sun. The southern Texas destination is about as far south as you can go on the Gulf without crossing into Mexico. Known for being a little rowdy when the spring breakers and college kids descend upon the island, it is actually a very family-friendly destination and mostly quiet, at that. (Off-peak seasons will have you feeling like you own the island.) Like other destinations on this list, South Padre is filled with more rental options than hotels, and they range in price, size, needs and location. 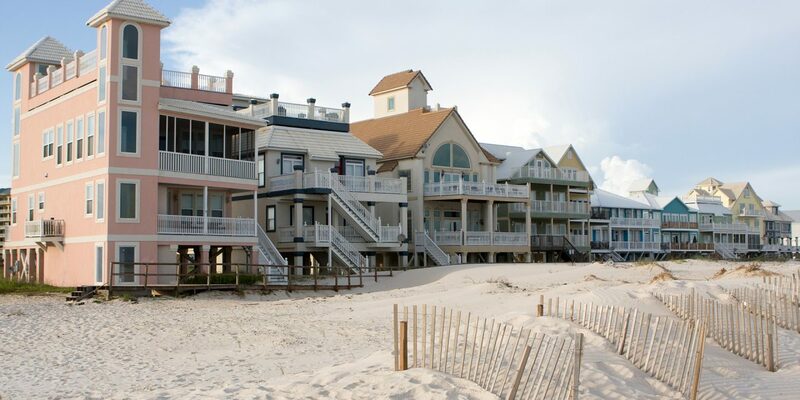 You"ll easily find a place for your family getaway, be it a condo on the beach or a home nestled in the dunes.